After 1,935 days in captivity, Israeli Army Staff Sergeant Gilad Shalit may well be coming home soon. In a deal negotiated with the help of the Egyptian government, Israel has agreed to a phased release of over 1,000 Arab terrorists held in Israeli prisons. In return, Hamas (the Islamic terrorist group in control of the Gaza Strip) will turn Shalit over to Egypt, who will transfer him to back to Israel. 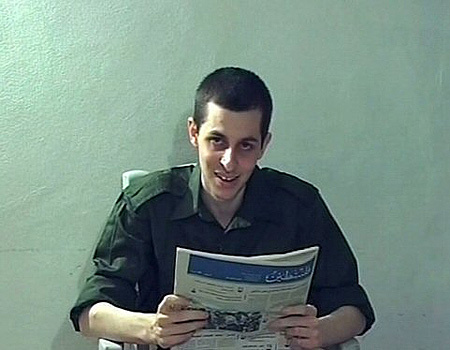 Shalit was captured in a raid on June 25th, 2006, and has been held hostage by Hamas ever since. The only contact with the outside world Gilad has been able to make during his captivity took place in 2009; three letters, an audio tape and a video. Repeated attempts by the Red Cross to visit Shalit have been refused by Hamas, and previous negotiations or rescue attempts all failed.